The ASPCA Los Angeles Fundraiser will be an evening to remember, where guests will enjoy specialty cocktails featuring Casamigos Tequila and Tito’s Handmade Vodka, a silent auction to support the ASPCA’s Los Angeles Mobile Spay/Neuter Clinic, music, and more. The event will take place at a private residence in Bel Air on October 20. 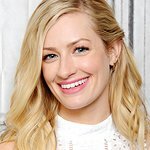 Beth Behrs will be presented with the 2016 ASPCA Compassion Award for the extraordinary commitment of time and effort she has dedicated to directly impact the lives of vulnerable and victimized animals, to be presented by Jennifer Coolidge. Sarah Hyland will receive the ASPCA Voice for Animals Award to recognize her efforts toward increasing awareness and inspiring action on behalf of animals in crisis, to be presented by Nina Dobrev. Proceeds from the event will support the launch of the organization’s new Los Angeles Mobile Spay/Neuter Clinic.